“The Boomerang Effect” is now in play! The Boomerang Effect is now in play and will be till at least June 11th, 2019. What does this mean? It means that your “Body/Mind/Spirit” are being rewired at an accelerated rate with NEW higher frequencies being implemented and activated at the same time!!! Right now we have two completely different energy clusters over lapping one another which causes the “Boomerang Effect”. Once is activating while the other is being implemented. “The Boomerang Effect” has only just begun and will be in full swing by April 16th when we will be navigating through 5 completely different “Boomerang Effects” which will then lead to 6 and 7 in effect. Please understand that “The Boomerang Effect” is very new for we have just entered into the new and is part of the new. Hold on my friends for as we begin to enter April this new way of being will truly be in full effect. 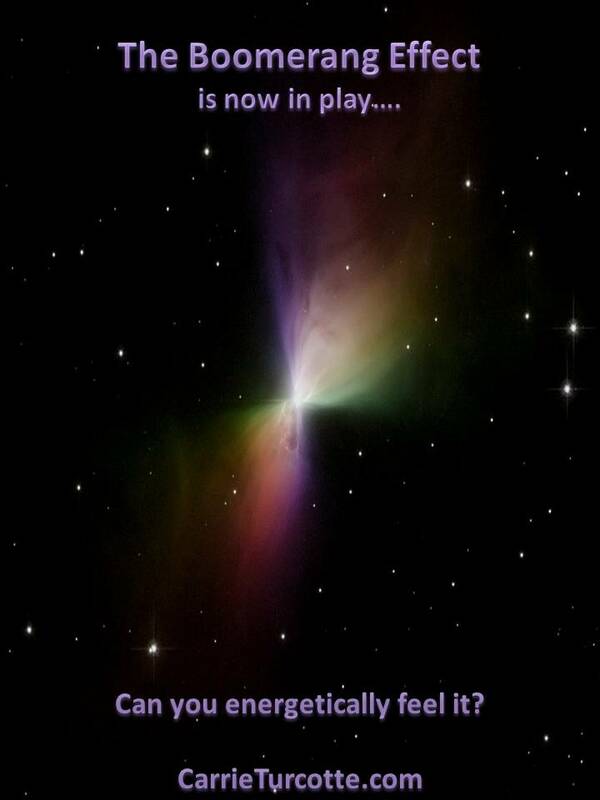 Want to understand this at a deeper level and/or how to navigate through theses new energies? Then you may want to join my “Heal & Shift” 6 week online course starting April 16th, when this “Boomerang Effect” kicks into full swing! Complete details can be found by clicking here! Please note I’m limiting the number of participates simply because of the energy we will be creating together. So if you are interested, please reach out to me to reserve your spot today.